We recently produced a short post-occupancy video for our Gascoyne Road project in Hackney to see how the residents of Crisp Court are finding their new home. The project provides 19 homes as well as a community centre for the surrounding neighbourhood. KCA has recently submitted an application for a scheme consisting of 16 new homes of which half is shared ownership. KCA’s Montpelier Road scheme is a redevelopment of a former care home to replace the out-of-date building with a scheme of 16 new homes with generous private amenity space. The building has been designed to have as minimise impact on neighbouring properties through considered outlook and a contextual massing. Further considerate design features include a rainwater garden to limit run off and Mechanical Ventilation Heat Recovery to meet the Zero Carbon requirement. Our Sparrow Farm Drive scheme in Hounslow has been approved! 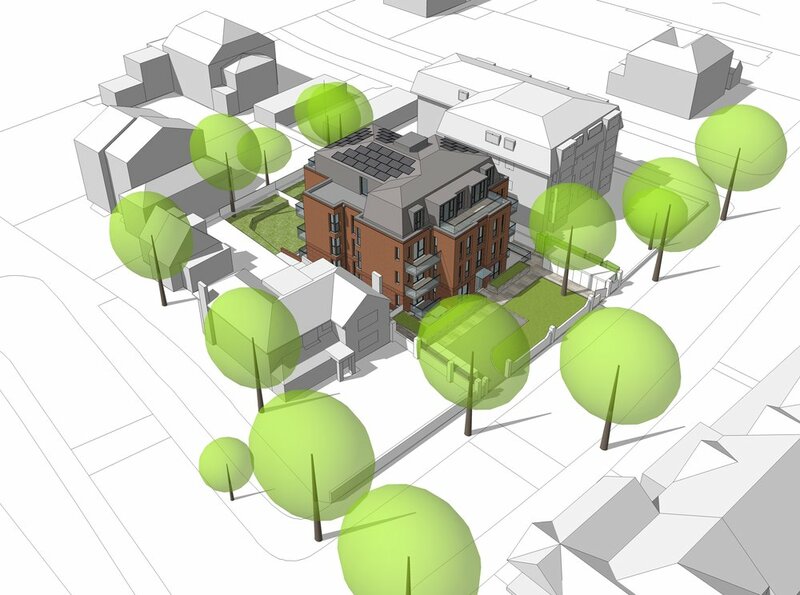 KCA’s scheme will create 25 new light & spacious affordable family homes arranged around a landscaped courtyard. The new community centre will breathe new life into the heart of the estate providing a wide range of social activities. Other benefits include a new children’s playground, more parking, landscaping & tree planting. KCA has received planning permission for a 800 sqm private house in Hampstead. KCA’s scheme for a 800 sqm high end private house on Hampstead Heath has been granted planning permission. The scheme has been designed as three accommodation blocks connected by a high atrium and glazed corridors creating visual connection through the building to the main entrance, the garden and the Heath.